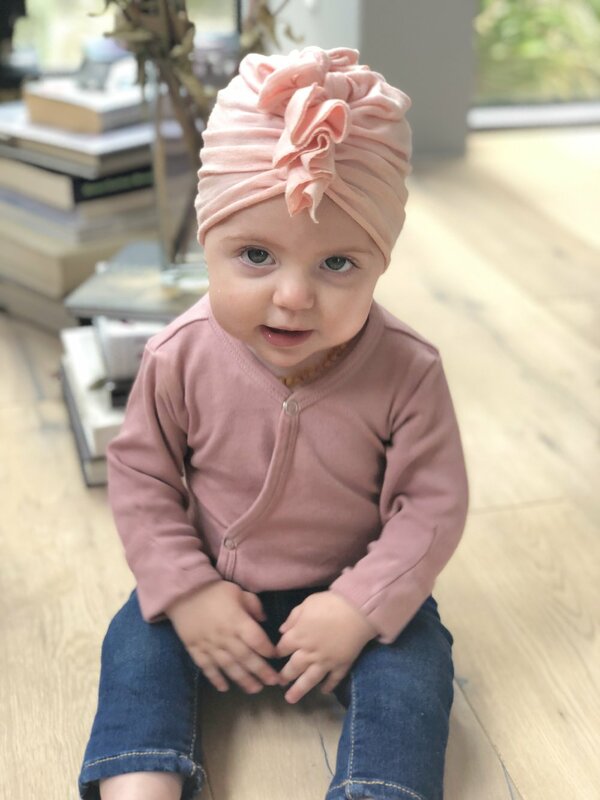 5 Reasons To Get A Baby Turban By BluTaylor? Hello hello! Happy Wednesday. What’s a Baby turban you ask? I was clueless until this precious gift arrived for our babe shortly after becoming a new family of three. 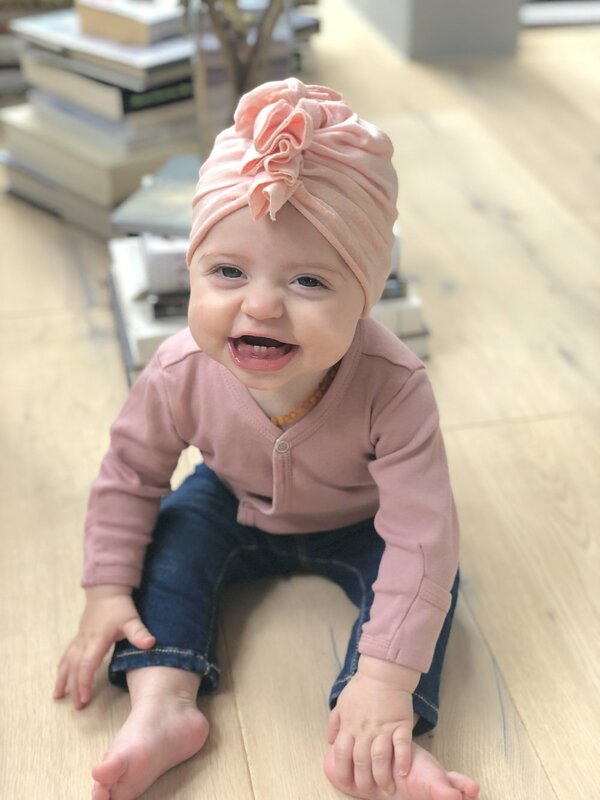 So this one is for my mama’s and papa’s out there looking to wrap up their little bundle’s noggin in one of the sweetest head accessories we’ve found for our baby. 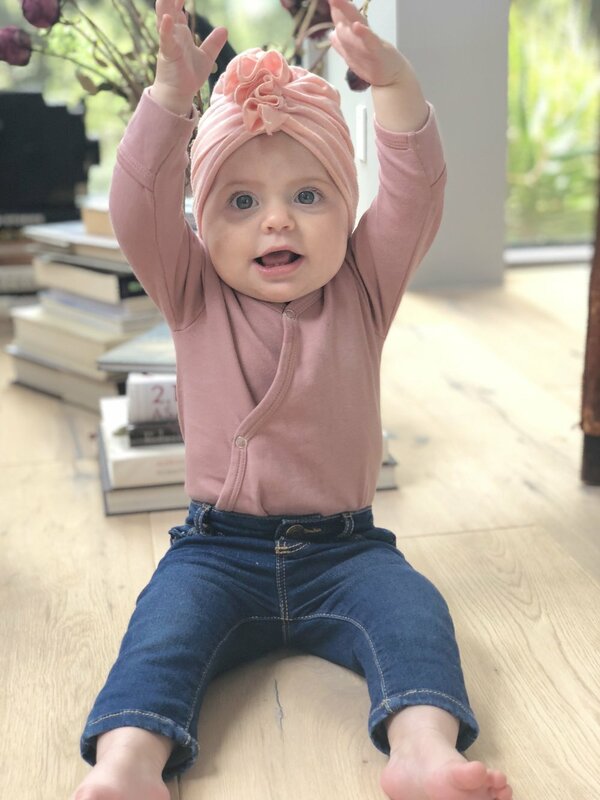 Our ballet pink, vintage baby turban by BluTaylor was a gift from our friend Gaby that is seemingly loved by all, so I’m inclined to pay this forward. 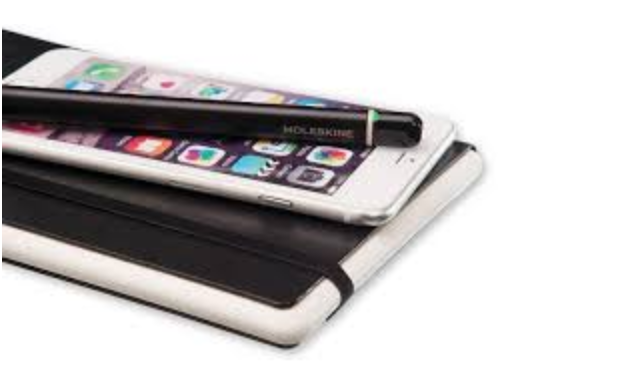 It’s practical, beyond cute and a noteworthy share. We have been putting this on our sweetie-pie since she came home from the hospital. It’s incredibly soft, covers her sensitive little ears and now even at nine months old, isn’t tugging at it to pull it off constantly. It’s a gentle snug fit and gives Emerie a whole look, let me tell you! We can't seem to go out of the house wearing this without being stopped and someone asking "where is her head wrap from?" Aside from all that fun, I absolutely love what founder and designer, Katie and her brand stands for. She's another example of how life can give you unexpected tragedies and as personal healing blooms the desire to share that healing with others blooms even bigger. See BluTaylor about for more of her and her teams story. Their Preemie Program is wonderful. You can submit for your own preemie or for a friend and BluTaylor donates a baby turban custom tailored by Kate— awesome right? BluTaylor head wraps are all handmade and the BLUE thread used in every one, regardless of the color or pattern, is to signify tailor-made HOPE. They are made of super soft fabrics in vintage, classic or limited editions that stay out of your babies eyes! Covering the head and precious ears with a gentle, snug fit makes for a great travel hat that babies won't tug off. The variety of colors and patters are trendy & fun and not just for our little one's— they make them for adults now too. As we placed this special gift onto our little one’s head and took her out into the world… the compliments and questions from others inspired me to look a little deeper into BluTaylor. I’m so grateful I did. I appreciate and value a brand like this! Please enjoy my limited time discount code and share the love. They certainly make great gifts! Click the button below to take you to shopping and enter BLUTAYLOR+BOGART for your discount when you check out. A big thanks to BluTaylor for such a lovely collaboration with me. Although the swooning over Em in her turbans can make us all blush, I'm a bigger fan of simply spreading the word about brands with heart, integrity and a missional purpose! Lot’s of love beaming out to all of you this week! Have a great one and thank you for stopping by. 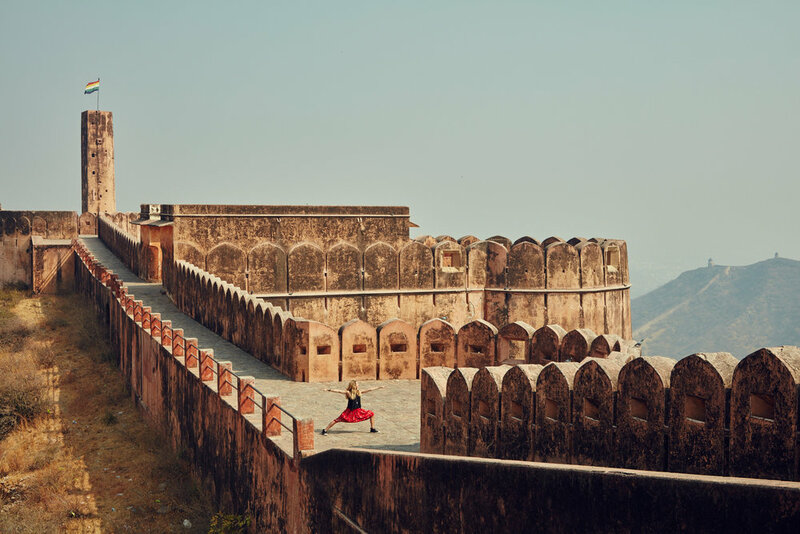 Who doesn't love a solid playlist that can make you sing along, burst into dance or get lost in lyrics that connect you to something powerful? Music has a way of transcending our spirit in many different directions. What a lovely vice to use to explore movement, emotions, connection, talent, events, workouts... I mean you name it, music has a an on going relationship with each and everyone one of us in some capacity. Growing up a dancer and being a lover of movement I've never had a problem getting up to shake my booty around to some good jams, get caught up car dancing or bust out Heartbreaker by Pat Benatar karaoke style. Five years ago when I dove into teaching yoga I knew music would be a well curated part of what I wanted to offer my students with their preferences in mind. I felt music have a way of connecting me to a deeper sense of self as I hit the mat and wanted to share that with others. I get asked a lot after class about my playlists, requests to screenshot them or questions about who sang what song and I love it. I'm excited to share my playlists on Spotify with all of you as well, should that interest you! If you have a FaceBook account it's free. Just another daily joy that felt share worthy. Music; my love for it and willingness to share playlists I take a lot of time to make... It's become a hobby I truly enjoy and discover so many new artists and great songs in doing so. Select your mood button today... and listen to something that suits that! I implore you to FEEL SOMETHING. Check out my latest playlist filled with some music I'm loving at the moment titled FEELsomething on Spotify. Who is your favorite artist at the moment? Sharing is caring and I'm always up for some great suggestions... anything special you'd like to hear if you were in a yoga class? Thank you for stopping by. I always love hearing from you! Celebrate International Women's Day today in honor of the social, economic, cultural and political achievements of women (IWC)! Visibility and awareness help drive positive change for women. With a #BeBoldForChange theme today it's inspiring to know how many tremendous women use their courage & bravery to push for change. We are so blessed to have women in history who started this movement and women of today continue building momentum for doing extraordinary things. I am a proud member of The New Hollywood and as we've expanded and created new branches; The New Hollywood LGBT and The New Hollywood Men... I'm even more proud to be amongst this diverse group of and women and men who are change makers, philanthropist and ambitious humans working as individuals and together to Rise Higher, Shine Brighter and Give Back. Whether you're involved in a group like this or not, YOU too can be grand in your efforts to create awareness about the things you support and believe in. We all have a voice, we all matter. Traveling continues to open my eyes to diversity, cultural experiences, luxuries, inequality, discouraging rules, uplifting opportunities, etc.. I hope that women everywhere continue to strive to speak up, take a stand and propel forward striving to achieve a better life for themselves everywhere and always. What has been your greatest adventure to date? Has it been visiting a place, a crazy experience, a milestone event or ____________ ? You can fill in the blank. Life has certainly been filled with a multitude of great adventures thus far. Each in their own element. Often life changing, empowering, liberating, humbling, powerful...etc. I can't imagine that anything will compare to the adventure of becoming parents! Yes, you heard me correctly. Erik and I are graciously embarking on the adventure of a lifetime as we prepare and step into becoming parents this year. We feel incredibly blessed and share our excitement with all of you. This news completely rocks your life in the best way possible and suddenly every decision you make is now with thoughtful intentions about becoming a family. All of you who've experienced this know what I mean right? With a glorious, deep breath in and out, I look forward to this journey. Erik and I are over the moon! As a mamma-to-be in my late 30's there are a lot of varying circumstances that can add worry and fear to what's suppose to be a blissful time. So far yoga, meditation and mindful eating have helped me every step of the way with staying healthy, vibrant, accepting of all the emotions and changes I'm discovering. Having support from an incredible partner, family and friends makes this process even sweeter than I knew it could be. I'm thankful. As I continue to share life's greatest inspirations here, this will be another wonderful way I get to connect with you. For you amazing humans out there considering, trying, already experiencing parenthood... I send you oodles of love and light in your adventure and always know this is a shared space of community supporting each other. I cherish hearing from you guys, comments and tips, fun stories... you name it, they're always welcome here. I know this is one of those commercial holidays that depending on how you look at it, may not be your favorite day... I've been there and can pretty much guarantee, we've all been there at one time or another, am I right? Let's see if we can shift our perspective and let go of that feeling. Today doesn't have to be about celebrating the LOVE you're either In or Not In with someone else but it can be simply about celebrating LOVE. You can make it a day that feels amazing no matter what your relationship status is. And ladies I say, if you're waiting on a guy to overly woo you, I would maybe focus on wooing him... for the joy of doing it and not worry about what you get in return. Try it on for size if you never have... see how that feels? Click here for a recipe from the Food Network I love. I used the stove top versus microwave and organic strawberries. Mine didn't turn out quite this pretty but I am sure equally delicious! Have a loving day no matter what! Tell the people in your life your love them, share your joy with people around you. If you have any fun tips you want to add to the mix, leave them in the comments, I love hearing from you guys. All you need is LOVE. LOVE IS EVERYWHERE, DO YOU TAKE TIME TO SEE IT? Hello there, how are you guys today? I've recently re-read my blog intro and realized I have a little updating to do! I'm struck by the notion that so much of what brings me joy is taking time to see the little daily doses of love that surround us. Since I didn't have a category titled "Everyday Joys" I was inclined to create one. I hope this will be a space for weekly posts, simple and true that uplift YOU! That rhymed... a poet and I didn't know it, how fun! Ask yourself: Do you take time to see & feel love daily? Do you pause long enough to enjoy the presence of it? 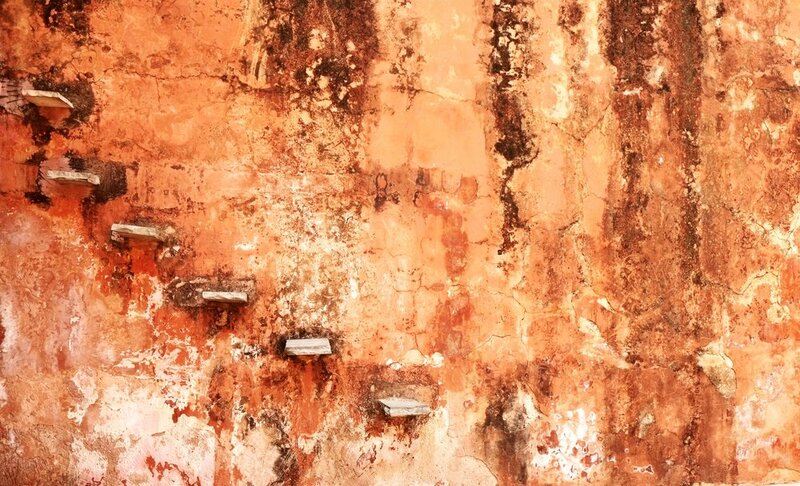 What does it look like for you? Can I inspire you to soak it up? Just a few short weeks ago I found myself in the winter wonderland of Aré, Sweden tucked into a beautiful log cabin with my fiancé, Erik to wrap up 2016 with some wonderful friends. I stroll into the kitchen and catch myself gazing through delicate heart wreath’s hanging in the window and out into the magic of Mother Nature. I smile, I feel peaceful and simply; am reminded that LOVE is everywhere. Take time to see it. Lot's of love to you all and I hope 2017 is bringing you lot's of joyful moments so far. I love hearing from you guys, so drop me a comment or question if you have one... anytime.